Media dis&dat: How are schools dealing with children with disabilities who have behavior problems? How are schools dealing with children with disabilities who have behavior problems? For more than a decade, parents of children with developmental and psychiatric problems have pushed to gain more access to mainstream schools and classrooms for their sons and daughters. One unfortunate result, some experts say, is schools’ increasing use of precisely the sort of practices families hoped to avoid by steering clear of institutionalized settings: takedowns, isolation rooms, restraining chairs with straps, and worse. No one keeps careful track of how often school staff members use such maneuvers. But last year the public system served 600,000 more special education students than it did a decade ago, many at least part time in regular classrooms. Many staff members are not adequately trained to handle severe behavior problems, researchers say. Michigan, Pennsylvania and Tennessee have recently tightened regulations governing the use of restraints and seclusion in schools. California, Iowa and New York are among states considering stronger prohibitions, and reports have appeared on blogs and in newspapers across the country, from The Orange County Register to The Wall Street Journal. 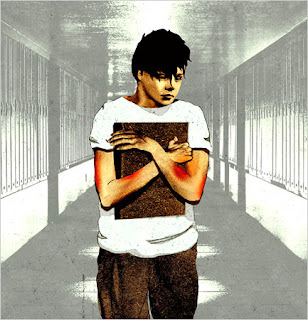 Federal law leaves it to states and school districts to decide when physical restraints and seclusion are appropriate, and standards vary widely. Oversight is virtually nonexistent in most states, despite the potential for harm and scant evidence of benefit, Dr. Peterson said. Psychiatric facilities and nursing homes are generally far more accountable to report on such incidents than schools, experts say. In dozens of interviews, parents, special education experts and lawyers who work to protect disabled people said they now regularly heard of cases of abuse in public schools — up to one or two a week surface on some parent e-mail lists — much more often than a decade ago. “In all the years I went to school, I never, ever saw or heard of anything like the horrific stories about restraint that we see just about every day now,” said Alison Tepper Singer, executive vice president of Autism Speaks, a charity dedicated to curing the disorder. The issue is politically sensitive at a time when schools have done a lot to accommodate students with special needs, and some have questioned whether mainstreaming has gone too far. “Some parent organizations, they’re so grateful to the schools that their kids have been mainstreamed that they don’t want to risk really pushing for change,” said Dee Alpert, an advocate in New York who reports on the issue in the online journal specialeducationmuckraker.com. The line between skillful conflict resolution and abuse is slipperier than many assume. Federal law requires that schools develop a behavioral plan for every student with a disability, which may include techniques to defuse the child’s frustration: a break from the class, for instance, or time out to listen to an iPod.